The Inns and Spa at Mill Falls, a collection of six properties including four inns and two cottages located in Meredith, New Hampshire, on the shores of Lake Winnipesaukee, are offering a Two-for-One special throughout January, when guests can reserve two consecutive nights, Sunday – Friday (excluding 1/15 & 1/27) and only pay for one. Guests also receive two $25 credits towards a full massage or facial at the Inns’ world-class Cascade Spa. The special also includes two-for-one breakfast, lunch and dinner entrees at participating restaurants per day, and a coupon book to 12 boutiques in the Mill Falls Market Place. 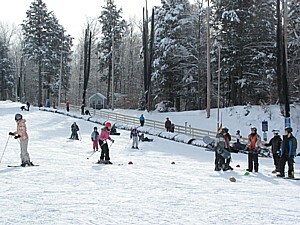 January also happens to be Learn to Ski & Snowboard Month in New Hampshire, and there’s plenty of skiing near Meredith. January 7-12 is Ski NH’s Learn to Ski & Snowboard Free Week, where first-time skiers and snowboarders receive a free learn to ski or snowboard lesson, free equipment rentals and a free beginner terrain lift ticket. Participants must register with Ski NH to download a Learn to Ski & Ride Free coupon then make a reservation with one of several participating resorts, including Waterville Valley and Gunstock Mountain Resort. Registration begins on January 2 and is first-come, first-served. Full Moon Snowshoe Walks are offered every winter at Prescott Farm in Laconia – this year, on Wednesday, January 19th from 7-8pm. Environmental educators will guide visitors on an hour-long walk along one of Prescott Farm Environmental Education Center trails, encouraging visitors to use their senses to explore the area in a different way. Participants will learn to identify several constellations in the night sky and discuss the habits of nocturnal animals. After a day or evening of skiing, snowboarding or snowshoeing, visitors may want to check out Deals After Dark at the Tanger Outlets in Tilton. Starting January 10th through February 28th, between 5 and 8pm, shoppers will be rewarded with deeper discounts. Topping off a perfect day of skiing and shopping, Giuseppe’s Pizzeria & Ristorante’ is one of the Lakes Region’s most loved since 1989. Known for being “Very Musical, Very Italian & Very Good!” this full service restaurant offers nightly musical entertainment along with award-winning pizza, pasta, seafood, steak, chicken, vegetarian, gluten-free and more. The Inns & Spa at Mill Falls, 312 Daniel Webster Highway , Meredith, NH 03253 800-622-6455, http://millfalls.com/inns/index.htm. In keeping with Holland’s “tulip fever,” WLCVacations is offering exciting Tulip Time cruises spotlighting the region’s famous springtime bulbs and alluring history and culture. From April through May, guests will enjoy a slew of events dedicated to the flowering season, including the privileged opportunity to visit the Floriade Horticultural Expo in Venlo, a spectacle held once every ten years that pays homage to all things botany. The Tulip Time Cruise carries guests past storybook windmills and bulb fields bursting with springtime hues along the Dutch and Belgian canals. Sailing roundtrip from Amsterdam aboard a fleet of luxury ships – AmaLyra, AmaCerto, AmaVerde, AmaDolce and AmaDante – the 9-day program features a visit to the Floriade World Horticultural Exposition where 100 exhibitors from all over the world convene once every ten years to showcase their stunning collection of flowers and gardens, while enjoying daily cultural presentations of music, dance, art and food. Moreover, the spectacular exhibition of tulips, daffodils, and hyacinths at the famed Keukenhof Gardens in the quaint town of Lisse will leave visitors captivated from the start. Cruise only price starts from $2,199 per person. 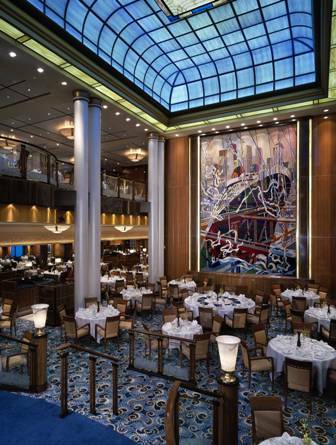 The River Queen and River Duchess will travel from Amsterdam to Antwerp for the 10-day Tulips & Windmills itinerary. In addition to visiting Holland’s signature flower attractions, the program highlights the region’s windmills, such as the 18th-century windmills of Kinderdijk, and historical treasures. History and art aficionados will delight in the chance to pay a visit to world-famous museums, including the popular Van Gogh Museum; the Rijksmuseum which houses the greatest collection of Dutch and Flemish masterpieces; and the Liberation Museum, offering firsthand accounts of World War II. Fares begin at $2,499. Alternatively, passengers can also discover the region’s tulip-themed events aboard a luxurious hotel barge cruise. Savoir Faire and Absoluut2 will navigate through the canals and locks of Holland for seven days and six nights, both sailing roundtrip from Amsterdam. Daily sightseeing excursions for the 8-passenger Absouluut2 include visits to historic Gouda, with its renowned cheese and stained glass windows as well as the city of Delft, synonymous with blue and white porcelain. Meanwhile, Savoir Faire’s “Holland Tulip” cruise explores the quintessentially Dutch village of Zaan Schaans, home to century-old windmills, a clog workshop and cheese farm. All-inclusive pricing for these 7-day cruises start at $4,500 per person, based on double occupancy. iPlay America and Encore Event Center, an indoor theme park, entertainment venue and event center in Freehold, N.J., is offering a fun, unique way for families celebrate New Year’s Eve this year. iPlay America is offering a New Year’s Eve package that appeals to guests of all ages. The festivities take place from 8:00 p.m. until 1:00 a.m. and include unlimited rides and attractions, a $5 iPA game card, a sumptuous buffet and a frozen yogurt at Mixx for $59.95 per person. Any guests 21 and older can also chose to upgrade their package to include an open bar while dining, which features beer, wine and champagne for an additional $19.95 per person. Unlimited rides and attractions include: iPA Speedway, Kite Flyer, Skyscraper, Spin Zone, Jump Around, Happy Swing, Dizzy Dragons, Cosmic Battle, 4D Theater Thrill Ride and Just iKidz. Private Brownstone Celebration rooms are also available to rent for the evening, providing guests a private space to eat and celebrate with their friends and family. For additional details, contact a Reservation Specialist at 732-577-8200. Tickets for the New Year’s Eve celebration are available online at www.iPlayAmerica.com. They can also be purchased in the Grand Lobby of iPlay America or reserved by phone. Win a Trip of a Lifetime with Lonely Planet and Bing– December 29th only! Beginning December 29th at midnight PT/3am ET, Lonely Planet is the prize sponsor of a 24-hour sweepstakes hosted by Bing that will give away the grand prize of a trip of a lifetime. This around-the-world trip will be custom created by the winner, with help from Lonely Planet staff and authors, in order to build a dream trip of their own. All day long, visitors to Bing’s Magical Holiday Calendar (www.bing.com/holiday) can enter to win the trip of a lifetime from Bing and Lonely Planet. The Grand Prize winner will win a 14 consecutive night/15 consecutive day trip for him/her and one guest to up to four travel destinations around the world, up to a value of $30,000. 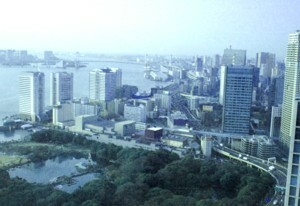 The Lonely Planet team will work with the Grand Prize winner to devise a custom itinerary, based on his/her interests. To help give participants an idea of what the winner’s dream journey could look like, Lonely Planet’s U.S. Travel Editor Robert Reid created five dream itineraries based on the following interests: music, movies, food, art and the outdoors. *MUSIC: Plug in the earphones, fire up the iPod and get ready for a round-the-world journey like no other. From good old rock’n’roll to the might of the Mersey Beat and naughty German cabaret, this globe-spanning trip will get your toes tapping to a different tune. *OUTDOORS: A dream trip in the great outdoors! Sounds fantastic but perhaps slightly intimidating, especially if you don’t have three months to boot camp your way to optimum fitness before your vacation. Of course, not all outdoor experiences mean roughing it. Call us cushy, but here are five of our favorite ways to combine natural wonders without denying yourself creature comforts. *ART: So you want to do the Louvre, the Metropolitan, the Hermitage. Okay. You could trot the globe touring the world’s best museums, but for a real art attack head for the great outdoors. A fleeting glimpse of the Mona Lisa through the throng isn’t half as satisfying as, say, a stroll through the very streets that once inspired Dutch master Vincent van Gogh or an exotic taste of Gaugin’s Tahiti. How about a dream trip for art lovers that gets you out of the museum and turns you on to the places that first inspired those works of genius? *FOOD: We’ve long considered ‘travel’ – you know, going to see stuff like museums and markets and fancy plazas with mimes – as merely ‘the space between meals.’ Ultimately a trip’s defined by the food you eat. And where you eat it.There’s no end of sensory surprise in store if you travel the globe with an open mind and ready taste buds. From delicate appetizers to belly-busting feasts, why not let a world map be your menu on your next trip? Here are five destinations where food and place combine in an unforgettable concoction. Participants can enter to win a dream journey until 11:59pm PT December 29 by visiting http://www.Bing.com/holiday. The learning area at Smugglers' Notch, Vermont. 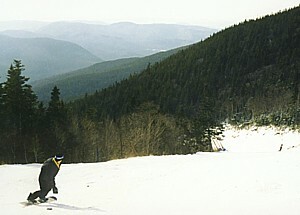 Beginners can get lessons for $29 at Ski Vermont resorts in January © 2011 Karen Rubin/news-photos-features.com. January is Learn to Ski and Snowboard Month, and there is no better place to experience the thrill of learning to ski or ride than in its original state. Vermont has some of the best and most experienced instructors in the world, and plenty of terrain specifically for those starting out. Best of all, first-timers can learn for as little as $29. This unprecedented offer is only in January; only in Vermont. To spread the love of winter to new enthusiasts, 13 Vermont resorts are offering beginner lessons for the entire month of January, excluding holiday periods (January 1 and January 14-15) for $29. The beginner lesson will include a full day beginner lift ticket, full day ski or snowboard equipment rental, and a lesson with a professional instructor. Due to the deeply discounted price, the offer is limited to one beginner package per person. New skiers and riders can sign up by emailing info@skivermont.com. Provide the following information: Name, phone number, zip code; preferred ski resort and number of people signing up for the lesson. Imagine stepping out of a helicopter at one of the highest elevations in North America and gliding down the mountain – carving through knee-deep snow. This is the stuff a Powder Hounds’ dreams are made of. This is Helitrax. Thirty years ago four local backcountry ski partners combined their talents and enthusiasm for ski mountaineering with a generous dose of can-do optimism, and launched Telluride Helitrax. Established in 1982, Telluride Helitrax is Colorado’s original and premiere Heli-Skiing and Snowboarding Guide Service. Today, the Telluride Helitrax crew are experts at providing small group, customized, backcountry adventures. The professional guides and pilots utilize state of the art helicopters, ski equipment and safety procedures to lead guests through the spectacular San Juan Mountains. Helitrax accesses the highest heli-skiing terrain in North America. Staggering peaks and breathtaking mountain beauty surround the expansive alpine bowls, gladed slopes and classic couloirs. Whether you are a seasoned heli-skier or new to heli-skiing, you can join Telluride Helitrax for an untracked and unforgettable adventure. To celebrate the 30th birthday of Helitrax, any guest staying at the Peaks Resort and Spa receives $50 off any heli-trip daily. All bookings are based on availability and do not include gratuity. Guest may upgrade to an additional day of heli-skiing for $1049 per day (Normally $1099). Skis, all safety equipment, food and water throughout the day are all included. For reservations or more information, visit www.thepeaksresort.com or call 877-500-8377 or email powder@helitrax.com.